This beautiful 18 Gauge heavy duty 9 inch deep stainless steel double bowl undermount sink would make a great addition to any kitchen or utility room. 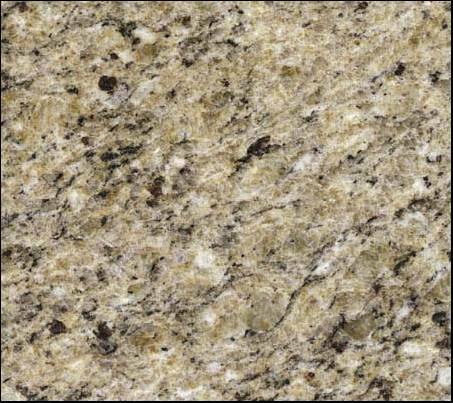 Looks great under any corian, silestone, ceaser stone, SENSA granite or any other solid surface you may have. The quality is comparable to any of the name brand sinks such as Blanco, Kindred, Elkay, Kohler, etc at half the price. Loaded with features and at less than half of the suggested MSRP, this Sink just can’t be beat! DXF file available for installation. The quality and durability of our sinks stand the test of time – all our stainless steel sinks are all SGS and CSA tested. This Beautiful 18 Gauge 9 inch deep stainless steel double equal undermount sink would make a great addition to any kitchen or utility room. Looks great under any corian, silestone, ceaser stone, SENSA granite or any other solid surface you may have. The quality is comparable to any of the name brand sinks such as Blanco, Kindred, Elkay, Kohler, etc at half the price. Loaded with features and at less than half of the suggested MSRP this Sink just can’t be beat! This stainless steel single bowl undermount sink would make a great addition to any kitchen or utility room. This sink features a large gourmet single bowl measures 30″ x 18″, big enough to soak your large pots and pans. Looks great under any corian, silestone, ceaser stone, SENSA granite or any other solid surface you may have. The quality is comparable to any of the name brand sinks such as Blanco, Kindred, Elkay, Kohler, etc at half the price. Loaded with features and at less than half of the suggested MSRP, this Sink just can’t be beat! 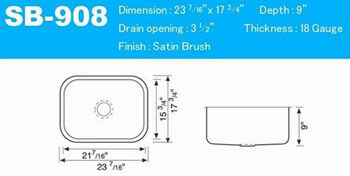 This undermount ceramic sink will make a perfect addition to any bathroom. Install it beneath solid-surface countertops to combine the look of an integral basin with the benefits of durable vitreous china. Available in white, bisque and black colors, complement both traditional and contemporary decor. Made with the finest ceramic, this sink is chip resistant, has a smooth finish, and is easy to clean. The CB-210 is compared to the Kohler K-2210 and uses the same template, but for FAR less money! First line product – not a second!